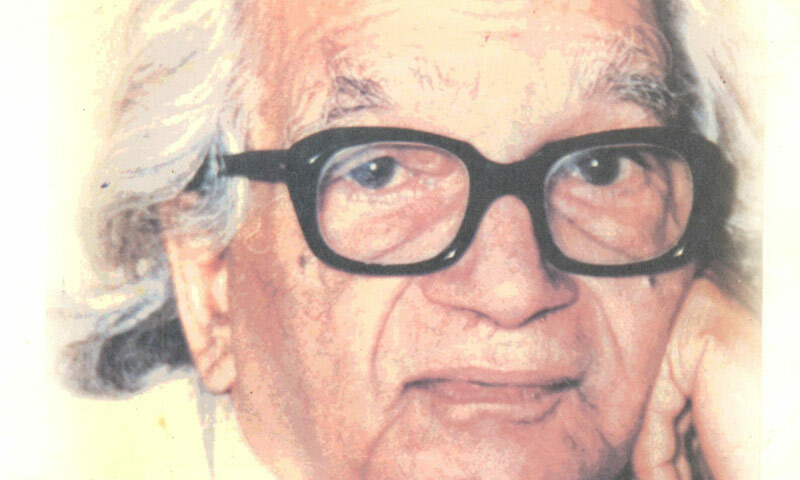 Salimuzzaman Siddiqui (Urdu: سلیم الزّماں صدّیقی‎ 19 October 1897 – 14 April 1994), HI, MBE, SI,D.Phil., FPAS, FRS. was a leading Pakistani scientist in Natural Product Chemistry. He is cr .ed for pioneering the isolation of unique chemical compounds from the Neem (Azadirachta indica), Rauwolfia, and various other flora. As the founder director of H.E.J. Research Institute of Chemistry, he revolutionized the research on pharmacology of various domestic plants found in South Asia to extract novel chemical substances of medicinal importance. In addition to his scientific talents, Siddiqui was also an avid painter, a poet, and a great connoisseur of music. His paintings were exhibited in Germany, India, and Pakistan. Siddiqui was born in Subeha (Barabanki District) near Lucknow on 19 October 1897. He received his early education from Lucknow, both in the Urdu and Persian languages, and soon developed interest in literature, poetry, and calligraphy from his father Sheikh Muhammad Zaman. He graduated in Philosophy and Persian language, from M.A.O College (that would later become Aligarh Muslim University) in 1919. In 1920, Siddiqui proceeded to University College London to study medicine. However, after one year of pre-medical studies, he moved to Frankfurt University in 1921 to study chemistry. In 1924, he married his German classmate; Ethel Wilhelmina Schneeman. He received Doctor of Philosophy under the supervision of Prof Julius Von Bram in 1927. On his return, he established the Ayurvedic and Unani Tibbi Research Institute at the Tibbia College Delhi, under the guidance ofHakim Ajmal Khan. He was appointed its first Director. However, soon after the death of Hakim Ajmal Khan, Siddiqui left the post. In 1940, he joined Indian Council for Scientific and Industrial Research where he worked until 1951 when he migrated to Pakistan on the request of Prime Minister Liaquat Ali Khan. Siddiqui’s first breakthrough in research came when he successfully isolated an antiarrhythmic agent in 1931 from the roots of Rauwolfia serpentina. He named the newly discovered chemical compound as Ajmaline, after his mentor Hakim Ajmal Khan who was one of the illustrious practitioners of Unani system of medicine in South Asia. Later on, Siddiqui also extracted other alkaloids from Rauwolfia serpentina that included Ajmalinine, Ajmalicine (C21H24N2O3), Isoajmaline, Neoajmaline, Serpentine and Serpentinine. Many of these are still used worldwide for treatment of mental disorders and cardiovascular ailments, especially as ant arrhythmic agents in Brugada syndrome. Siddiqui was the first scientist to bring the anthelmintic, antifungal, antibacterial, and antiviral constituents of the Neem tree to the attention of natural products chemists. In 1942, he extracted three bitter compounds from neem oil, which he named as nimbin, nimbinin, and nimbidin respectively. The process involved extracting the water insoluble components with ether, petrol ether, ethyl acetate and dilute alcohol. The provisional naming was nimbin (sulphur-free crystalline product with melting point at 205 °C, empiricalcomposition C7H10O2), nimbinin (with similar principle, melting at 192 °C), and nimbidin (cream-coloured containing amorphoussulphur, melting at 90–100 °C). Siddiqui identified nimbidin as the main active antibacterial ingredient, and the highest yielding bitter component in the neem oil. These compounds are stable and found in substantial quantities in the Neem. They also serve as natural insecticides. In his later career, Siddiqui continued to discover and isolate numerous unique anti-bacterial compounds from various parts (leaves, bark, etc.) of the Neem and other plants. He had more than 50 chemical compounds patented in his name in addition to those discovered as a result of his joint research with other colleagues and students. Most of these discoveries still remain vital natural ingredients of various medicines as well asbiopesticides. Siddiqui (center) with other senior scientists of Pakistan. Siddiqui migrated to Pakistan in 1951, four years after the emergence of Pakistan in 1947, after being offered and appointed as “science advisor” to the government by Prime minister Liaquat Ali Khan. He was appointed as Director of the Pakistan Department of Research that was reformulated in 1953 as Pakistan Council of Scientific and Industrial Research (PCSIR). The aim of PCSIR was to support the industrial infrastructure through research and development. The regional laboratories of the institution were located in Dhaka, Rajshahi and Chittagong (East Pakistan), and in Lahore and Peshawar (West Pakistan). In 1953, he founded the Pakistan Academy of Sciences as a non-political think tank of distinguished scientists in the country. In 1956, when Government of Pakistan established Pakistan Atomic Energy Commission (PAEC) as an atomic research agency, Siddiqui was designated as its technical member. In recognition of his scientific leadership, Frankfurt University granted him the degree of D.Med. Honoris causa in 1958. Also in 1958, the Government of Pakistan awarded him with Tamgha-e-Pakistan. In 1960, he became the President of Pan-Indian Ocean Science Association. The same year, he was elected Fellow of the Royal Society. In 1962, he was awarded the Sitara-e-Imtiaz for distinguished merit in the fields of science and medicine. Siddiqui remained the director and chairman of PCSIR until the time of his retirement in 1966. In that year, the President of Pakistan awarded him the Pride of Performance Medal for the respectable completion of his service. In 1967, Siddiqui was invited by University of Karachi to set up a Postgraduate Institute of Chemistry in affiliation with the Department of Chemistry. He was designated as the institute’s Founder Director, whereas the additional research staff was provided by PCSIR. In 1976, the institute was offered a generous donation from Hussain Jamal Foundation, as a result of which it was renamed as Hussain Ebrahim Jamal Research Institute of Chemistry. In due time, Siddiqui transformed the institute into a distinguished centre of international excellence in the field of chemistry and natural products. In March 1975, he headed the National Commission for Indigenous Medicines His tireless efforts for the promotion of science and technology earned him Hilal-e-Imtiaz by the Government of Pakistan in 1980. In 1983, he played a major role in the establishment of the Third World Academy of Sciences and became its Founding Fellow. He remained the director of the Hussain Ebrahim Jamal Research Institute of Chemistry until 1990. Later on, he continued research in his personal laboratory. As a person of multiple talents, Siddiqui was also a refined poet, musician, and a painter. In August 1924, he held his first international exhibition of paintings in Frankfurt. Later in 1927, his works of art were exhibited at the Uzielli Gallery, Frankfurt. During his stay in Germany, he also translated Rainer Maria Rilke’s poetry into Urdu, which was published in the journal of Jamia Millia Islamia. Though, his passion for arts was superseded by the enthusiasm in scientific research, he continued to patronize arts and culture. In 1966, he was at the forefront for setting up the Central Institute of Arts and Crafts in Karachi. He also compiled a selection of poetry of Mir Taqi Mir into Intekhab-e-Meer. In 1983, he published a portfolio collection of charcoal drawings from 1920 to 1950s. On 14 April 1999, the Pakistan Post, as part of its ‘Scientists of Pakistan’ series, issued a commemorative stamp to honour the contributions and services of Siddiqui. In the same year, the street leading to PCSIR Laboratories Complex in Karachi was named as Shahrah-e-Dr. Salim-uz-Zaman Siddiqui. Siddiqui was also remembered by his students and colleagues, many of whom continued to dedicate their international research and publications to his memory. In 2002, a research article was published in the journal Tetrahedron in which, authors Faizi and Naz dedicated their break-through research to the memory of Siddiqui, their mentor.